Dropped by on a Sunday afternoon but found it difficult to get as the smokers outside were reluctant to make way for us wanting to get past. When I got to the bar the service was none existent and with the live entertainment drowning out any chance of conversation, we happily went elsewhere. Undeterred, we ventured back on the Wednesday evening but it was closed. Not worth the bother. 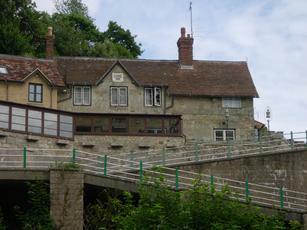 Amazing old pub by the chine,2 beers on doombar and enjoyed excellent goddards golden ale.worth the walk up or down. 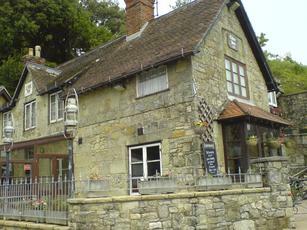 Visited twice during a short break to the IoW last week as it was the nearest real ale pub to where we were staying. The choice of ale was a bit disappointing – Doombar and Bolt Maker on the hand pumps and Landlord from the barrel. Both times I opted for the Bolt Maker (£3.50/pint) which was excellent. The pub is rather tired, but somehow this seems to add to the atmosphere of the place. Add to that, some really friendly locals and a very politically incorrect landlord whose acerbic observations had us laughing until it hurt, made drinking here a real pleasure. A good selection of Ale on ,Plumped for M and B Mild at Two Seventy Five a Pint .A tiny outside seating area if you are lucky. went past twice in last week,monday lunch time and thursday lunch time both times shut.thursday was a bright sunny day,must of missed out on a fair bit of buisness.on other visit over the years loved this place.